Looking to rent an Atlanta trade show booth for your next convention or exhibition? ExpoMarketing has what you need with a wide variety of rental booths that offer a custom-designed look and feel for a fraction of the cost of owning your own. The pioneers of the rental booth industry, ExpoMarketing first began offering high-quality trade show displays in 1991. Since then, our trade show rental programs have saved exhibitors countless dollars while helping to achieve spectacular results. We offer one of the largest booth rental inventories on the market, including many award-winning designs to choose from. 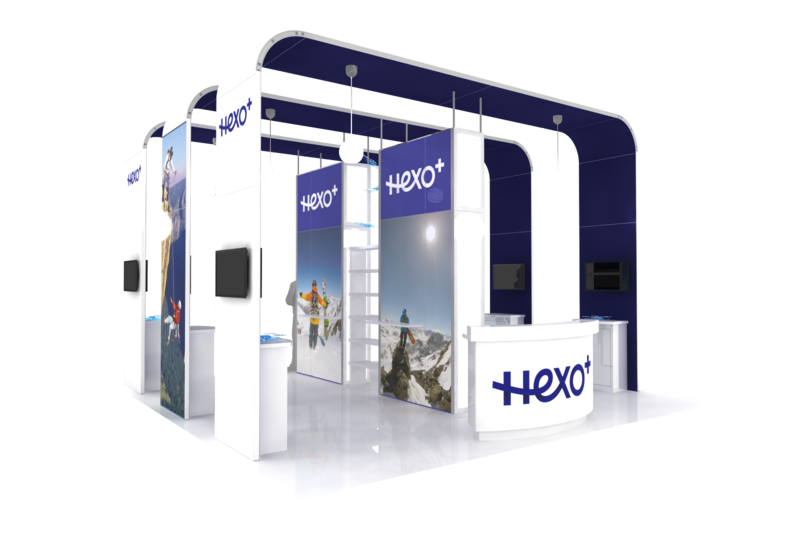 From our expert design and build professionals to our superior customer service, we provide everything you need for a winning Atlanta trade show booth. If you need a trade show exhibit in Atlanta, renting is definitely the smarter way to go, offering many advantages over owning. Avoid additional fees for maintenance, refurbishment, pull and prep, and storage. ExpoMarketing takes care of the design, build and delivery, so you can focus on connecting with your prospects and customers. Located in bustling downtown Atlanta, the Georgia World Congress Center (GWCC) consists of three separate buildings with ample space and facilities for trade shows, corporate and consumer events, and other types of meetings. With the Georgia Dome and Centennial Olympic Park nearby, the GWCC can also host sporting events of all types and sizes. From furniture and flooring to lighting, A/V equipment and more, ExpoMarketing rents everything you need to put on a successful exhibit. For smarter rentals, smarter designs, and smarter exhibiting that helps you stand out from the competition, ExpoMarketing is the perfect choice.